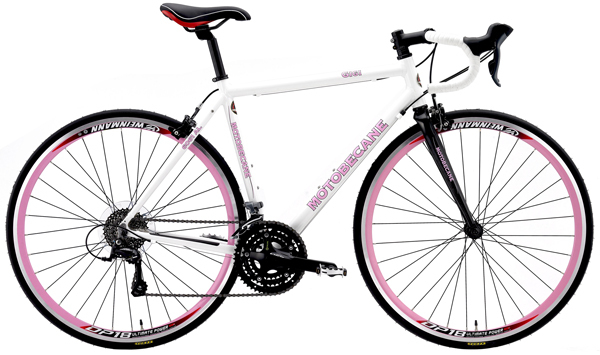 Main Frame: Custom WomenSpecific Series Aluminum Alloy with Aero Downtube, Double water bottle mounts. Rear Triangle: Tapered WomenSpecific Series Aluminum rear stays forged road dropout with replaceable derailleur hanger. Spokes: 14 Gauge Stainless, Custom Radial spoke front.